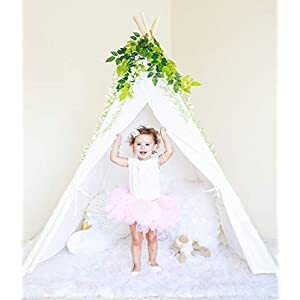 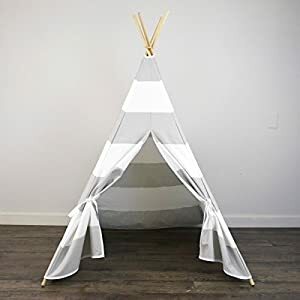 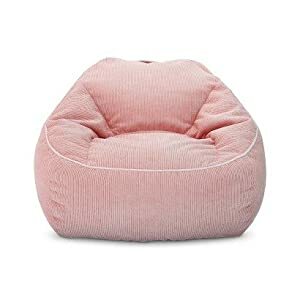 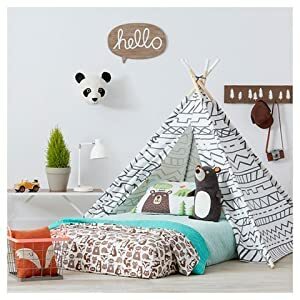 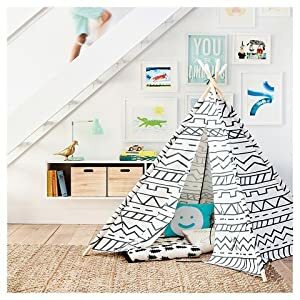 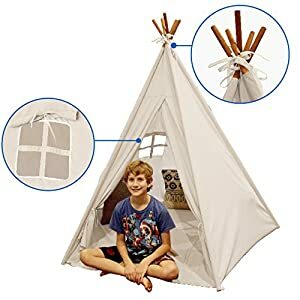 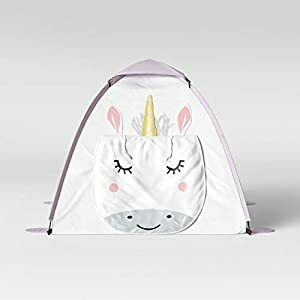 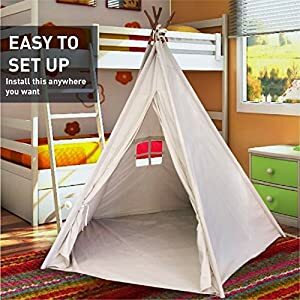 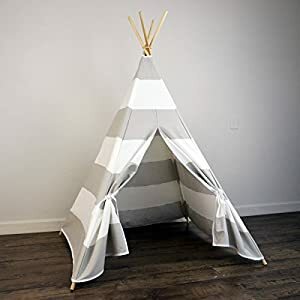 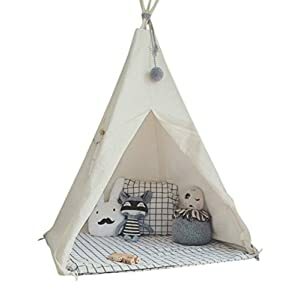 This Pillowfort play teepee provides a fun play space for children and features a fun fringe detail around the opening. 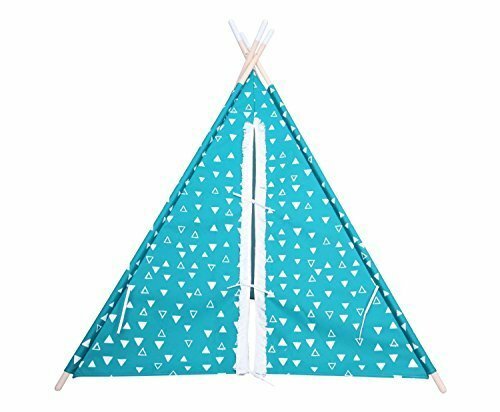 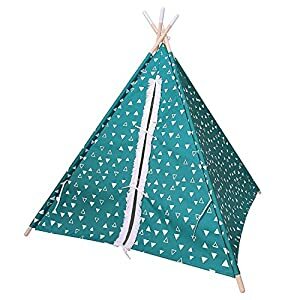 The teepee features a tie back front closure and a roomy interior space perfect for playtime. 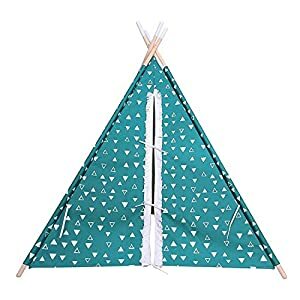 Constructed from a durable canvas like material and 4 wooden pine rods, it easily sets up in minutes.